If you’re one of the job seekers in India and are still confused where to find guidance on How to handle interview, tips for interview, how to apply for it, et al. You can relax and take a deep breath, we are right here to help you and will be glad if you could gain something. If you are at a stage where you want to ask yourself if this is really for me or if this is really what I want, you sure would find our articles helpful. We can help you by guiding you through all the stages of your career. Feel free to ask any specific question you may have and our experts would respond asap. What do you need to become a Web Developer? What does a Web Developer do? Web Developers, also called web designers are involved in designing and maintaining websites. What do you need to become a Digital Media Specialist? What do you need to become an Accountant? What do you need to become a SEO Executive? What do you need to become a Business Development Professional? 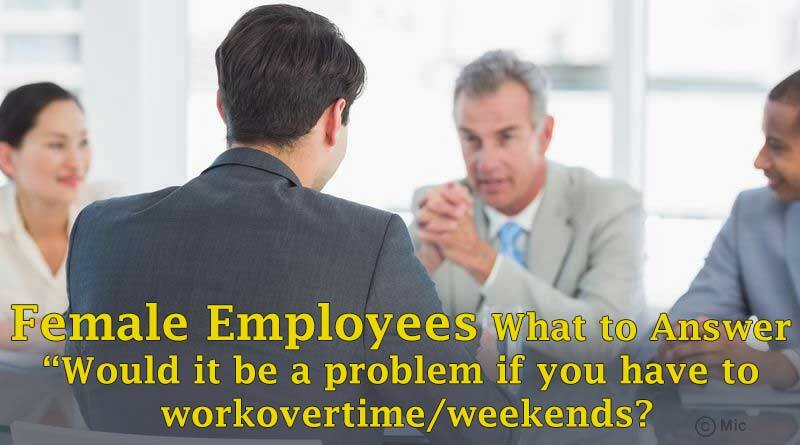 Female Employees: What to Answer “Would it be a problem if you have to work overtime/weekends? It is a common question which a female employee comes across when asked to work overtime or during the weekends.